IMG is expanding its work with the fast-growing eSports business with the launch of a new web platform, Boomeo. 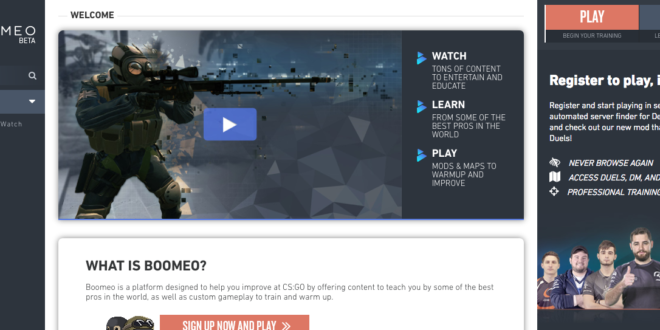 The new site will feature gaming content and tutorials, kicking off with instructional material for Counter-Strike Global Offensive. The agency has recently partnered with five eSports organisations, including Cloud9, complexity, Counter Logic Gaming, G2 Esports and SK Gaming, as well as popular players and influencers. In addition to existing training modules for the game, Boomeo is adding new initiatives such as Duels. The initiative “speaks to our continued investment in the eSports industry and our focus on delivering premium and accessible content to consumers,” said IMG’s Karen Brodkin.